Ancient Christian pilgrimage route between Canterbury, UK and St Peter's, Rome. Passes through England, France and Switzerland before entering Italy at the Great St Bernard pass. The Italian leg leads through some of the country's best landscapes, taking in the southern Alps, the Appenines and the hills, forests, lakes, olive groves, vineyards and hilltop villages and farmsteads of lush, historic Tuscany and Lazio. Historic cities, castles, fortified villages ancient ruins and a host of still-used Medieval, Renaissance and Baroque relics. Bask in the beauty of the rolling Tuscan hills, with their big views, medieval villages and hilltop farmhouses. Usually delightfully empty ̶ Camino de Santiago this is not. If they're not based on Roman roads, or even Neolithic trade routes, many of Europe's great long-distance trails can be traced to ways trodden 1,500 years ago by early Christian pilgrims. The Via Francigena ("Frankish Road") ran all the way from Canterbury Cathedral, in the UK, across France, Switzerland and Italy to 23 churches (21 of which are still standing) in Rome. The Via emerged from the debris of the collapsing Roman Empire, passing through Frankish controlled lands, which were relatively safe in a very uncertain world. Fortified hamlets and religious buildings appeared, which provided resting-places along the way. The Franks were themselves pushed out by the resurgent Byzantine Eastern Empire, whose allies the Germanic Lombards crossed the Alps in the late 6th Century to settle in an Italy which was depopulated after years of turmoil. They created a strong and stable kingdom, with the Via as one of their key roads, well maintained and with developing towns and monastic establishments along the way. They were themselves overcome in 774 by Charlemagne, the first Holy Roman Emperor and himself a Frank, who made his way to Rome along the Via to be crowned in 800AD. While the essentials of the route were fairly fixed at any time - it passed through certain towns and over known fords and passes - the Via was often a braid of trails in between, in large part driven by the grazing needs of the passing animals. Its major points of call changed as the regional powers waxed and waned. For many Renaissance years the way was diverted eastward to pass through Florence in its prime. Like other great mediaeval pilgrimage routes such as the Camino de Santiago, the Via Francigena was thronged by pilgrims, traders, merchants, workmen, scholars and other travellers, and of course great lines of pack ponies and other animals with their human escorts. 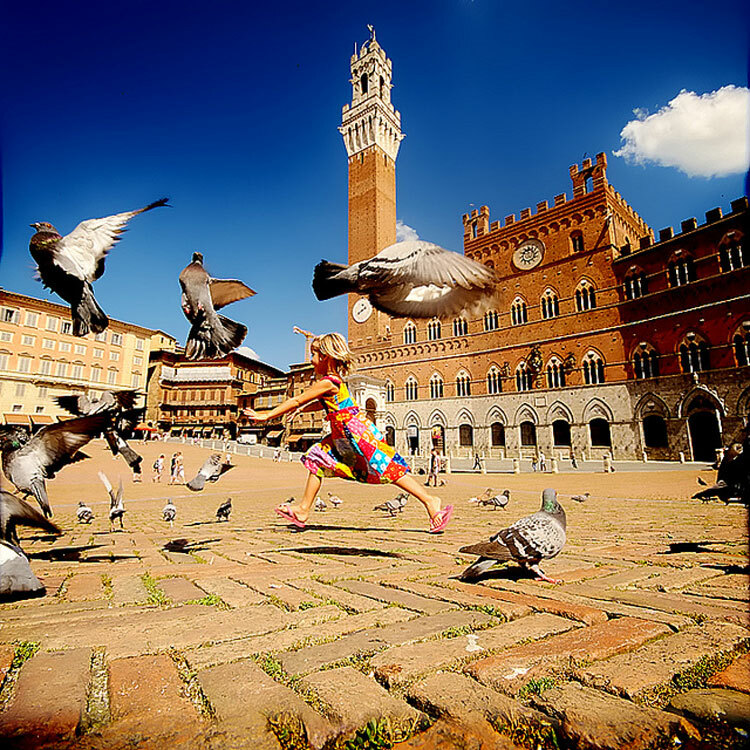 While a normal day may have seen up to 3,000 people on the route, it is said that, amazingly, more than 20,000 passed through Siena's gates daily at the busiest of times. Pilgrims usually travelled in large groups, which meant a walking pace of around 3 km per hour, with about 8 hours on the road, less in Winter. With so many travelling the route, the process had to be highly organized, with inns, canonries and monasteries along the way. This traffic, with its many needs, generated trade and prosperity, with a network of subsidiary paths, many of which are still walkable now. The way gradually fell in to disuse, as pilgrimage fervour and the church's power waned. In 990AD, Archbishop Sigeric the Serious of Canterbury walked to St Peter's to collect his cloak of office from the Pope, and recorded his journey home in minute detail. This was unearthed in the 1980s, and a magnificent cabal of scientists, geographers, historians and archaeologists pieced it back together; it was walked again for the first time in hundreds of years in 1985. Modern-day pilgrims can follow the route from its starting waymark to the traditional embarkment-place at Dover in about 7 hours. The French section, however, isn't signposted at all, and is hard to follow as a consequence. In Switzerland it is well-marked as the TP70, entering the country soon after Ponarlier and leaving it at the path's highest point, the Great St. Bernard Pass. 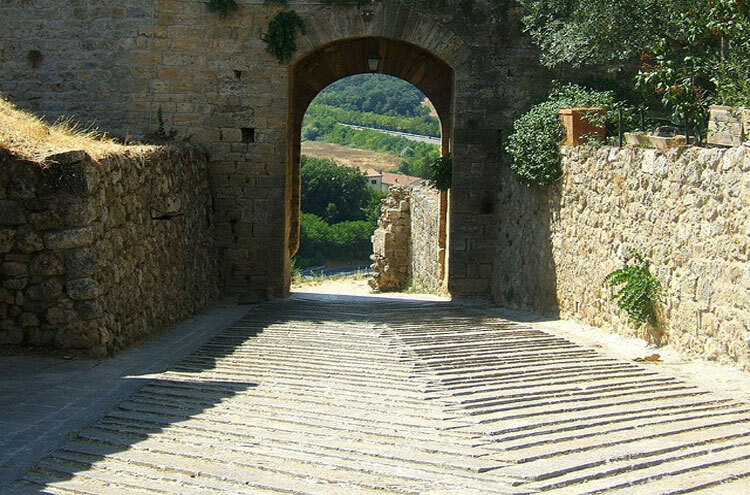 But it is when it enters Italy that the path's real magic begins. Passing through Piedmont, Lombardy, Emilia-Romagna and Tuscany and winding over the Appenines on its way, it is crammed not only with moments of Grand-Tour-breathtaking beauty but with reminders of the turbulent, magnificent history of the entire continent's last three-odd millennia. 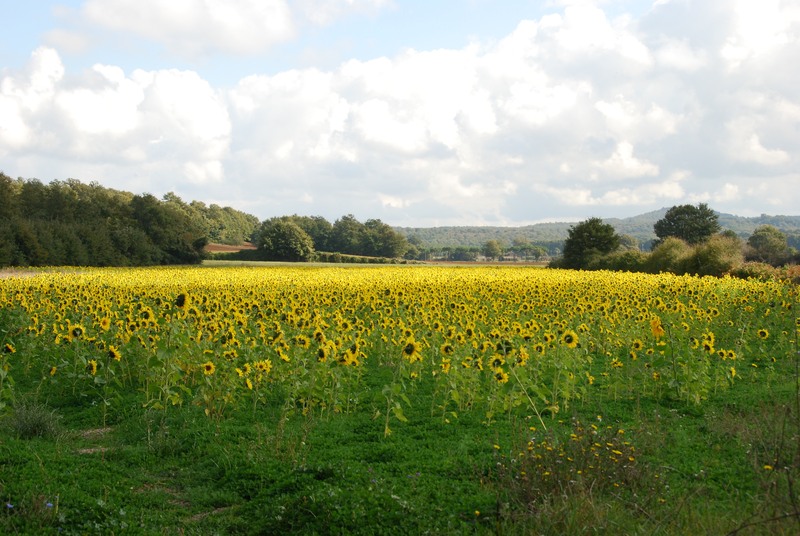 The great majority of the walkers address themselves to the Tuscan and Northern Lazio stretches between Siena and Rome. Italian history you will pass (or pass on) includes amazingly intact stretches of Etruscan and Roman road, including the Via Cassia between Montefiascone and Viterbo, said to be the best-preserved section of paved Roman road north of Rome itself; amphitheatres and other antiquities; monasteries (such as Monte Oliveto Maggiore), abbeys and castles; fortified villages, granaries and pilgrims' hostelries; once-important and still magnificent cities such as Siena and Viterbo, intermittent Papal seat for 24 years in the late 13th century and subsequently a Papal summer home; and the delights of towns such as pencil-towered San Gimignano, Colle Val d'Elsa on its narrow ridge, and tiny, walled hilltop Siennese outpost of Montereggione. 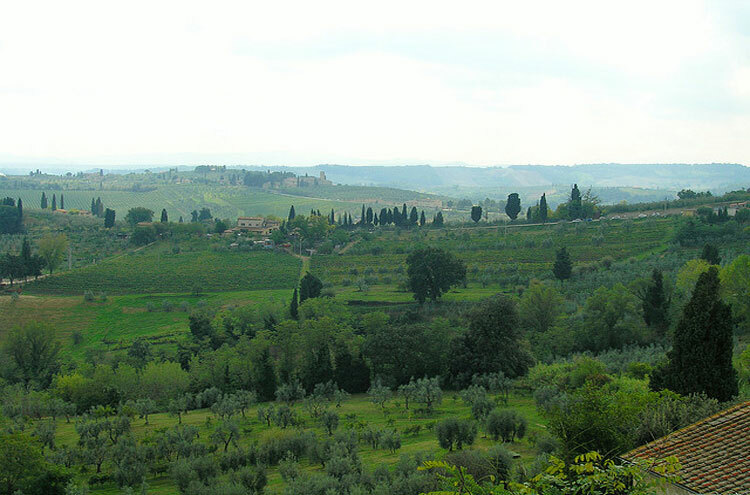 The landscape includes forests, meadows and vineyards littered with ancient farmhouses and hamlets in Tuscany, often perched on knolls and hilltops; ancient volcanoes and craters; and lakes including the blue expanse of Lake Bolseno in its vast volcanic hole. Not to mention mountains including the Alps and Apennines. It supports a varied and very characteristic selection of plant and animal life, from wild boar through to mellifluous nightingales, from mixed forests thick with scented wildflowers and herbs to bosky hedgerows and those classic lines and huddles of cypresses. Outside the urban tourist-draws (and there are quite a few), walkers can genuinely anticipate hours at a time without encountering another soul other than those working the somnolent vineyards and sunflower fields along the track. On the downside, infrastructure - from signage to accommodation - is much less developed than (say) the Camino Santiago, although there is a growing band of supporters of the Via in Italy who are working to develop it and its fame. In mid-Tuscany in 2015, the signage was generally excellent. The via is as yet nothing like the Camino de Santiago: we didn't meet a single obvious pilgrim in 4 days on the route in Tuscany in 2015. Indeed, we only met walkers at all on one of them (Monteriggione to Siena). This means no pilgrim-cameraderie but also blessed peace on the trail, and little of the infrastructure and none of the irritants of the Camino. The whole Italian leg will take you 8 weeks or so. 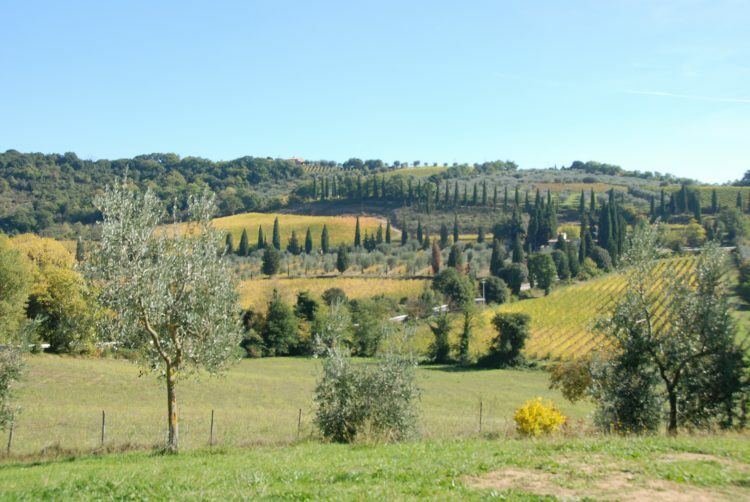 The 320km from San Gimignano to Rome has to be the classic stretch of this great walk, if you have a mere three weeks to spare; shorter stages can take a week or less. 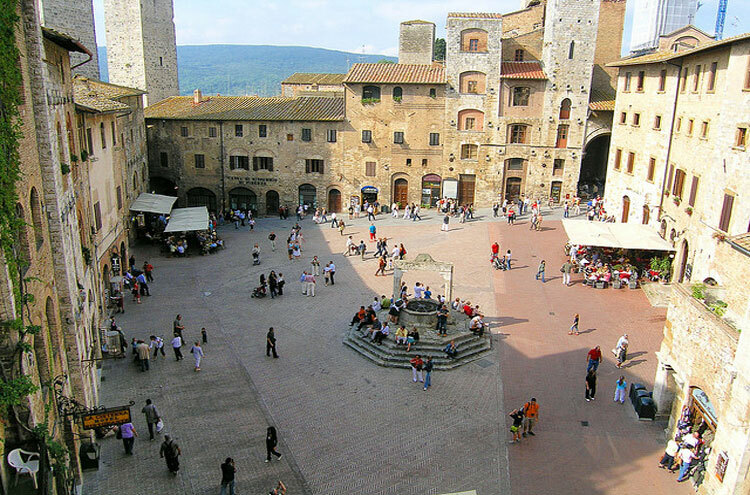 You can also build in side trips to great sites such Orvieto and Monte Oliveto Maggiore - or just turn onto some quiet back routes for a change. 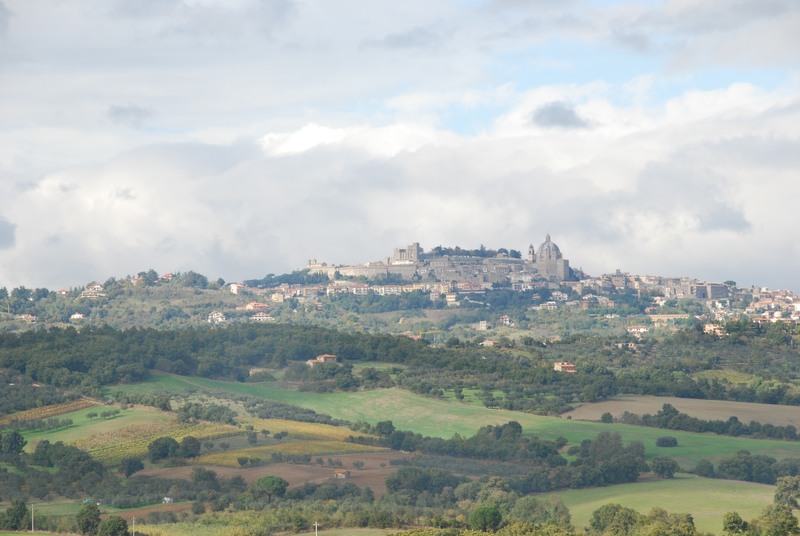 Other classic stretches are the weeks (or so) from (say) Montalcino to Viterbo and from Viterbo to Rome. It is well worth using one of the several good expedition organizers, who will arrange carefully chosen accommodation and baggage transport and generally ease your way, leaving you free to concentrate on the many pleasures of the journey, with detailed maps and guides for your route - and of course a suitably civilized picnic. 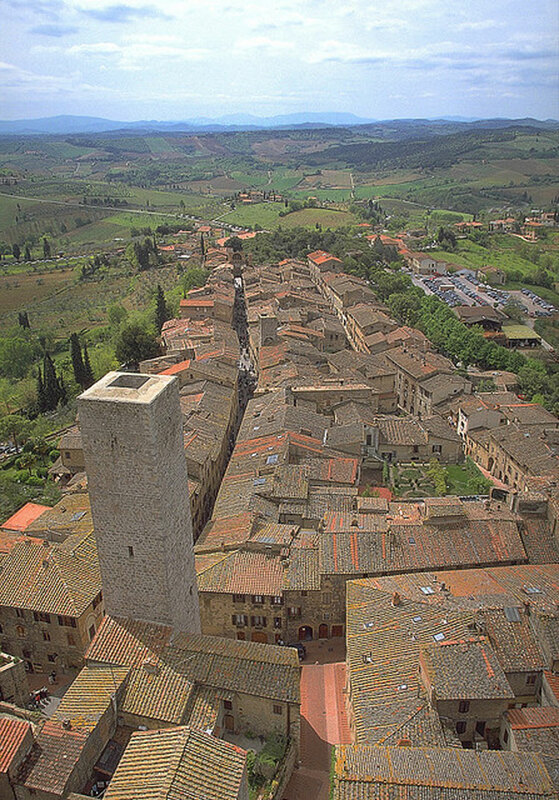 The grand master of them all, the pioneering Alternative Travel Group (ATG), organize three week-long guided or (self-guided) stretches that cover the 320 or so kilometres between San Gimignano and Rome and in places follow alternate (and better) routes than the signposted Via . Pilgrim Routes arrange self-guided walks, dividing the whole route into 8 week-long stretches. If you are walking for many days, this risks becoming an expensive undertaking, although you can stay in a few spedales, or pilgrims' hostels, and camp. You would do well to bring a light tent if you're planning to walk the whole length. Waymarking is not fantastic outside the main Italian legs, so you will need proper maps. The Via looks a pleasant and realistic route to bicycle. We did the second leg of the walk that ATG does as a self-guided walk and it was lovely, although we only followed the actual Via Francigenia from day 3, and then only from time to time. We did stick to the old road for most of the walk from Montefiascone to Viterbo. 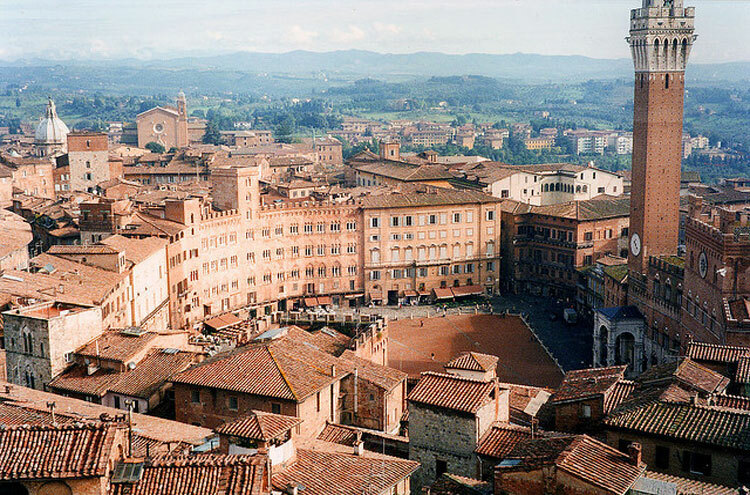 We talked to some people who were following the actual Via Francigenia from Lucca to Rome, and they thought we probably had the more beautiful walk. They said that the actual Via Francigenia often had them walking along very busy roads and that the track was often a hard surface, which after several days was wearing on their knees. ATG did a wonderful job routing us through countryside and dirt/gravel road, with very little time on roads with any traffic. We did it at the end of October and the weather was perfect. Comment content here From a Walkopedia friend: We did the second leg of the walk that ATG does as a self-guided walk and it was lovely, although we only followed the actual Via Francigenia starting on day 3, and then only from time to time. We did stick to the old road for most of the walk from Montefiascone to Viterbo. 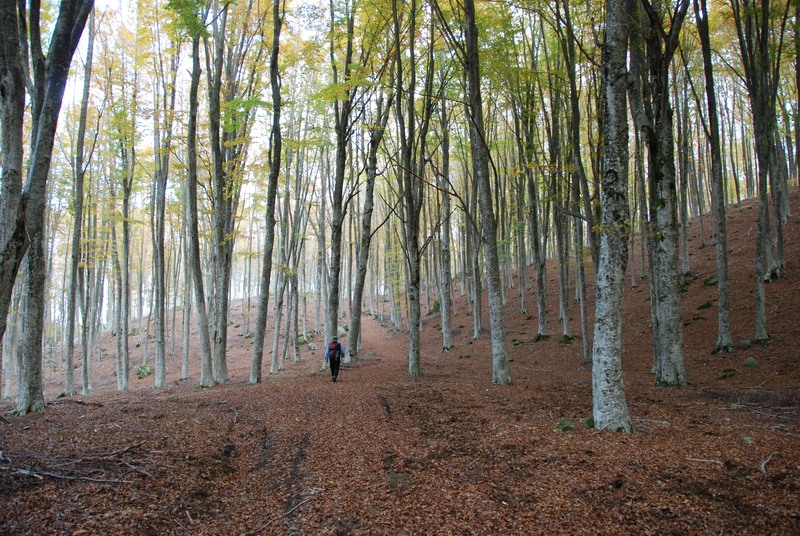 We talked to some people who were following the actual Via Francigenia from Lucca to Rome, and they thought we probably had the more beautiful walk. They said that the actual Via Francigenia often had them walking along very busy roads and that the track was often a hard surface, which after several days was wearing on their knees. ATG did a wonderful job routing us through countryside and dirt/gravel road, with very little time on roads with much traffic. We did it at the end of October and the weather was perfect.